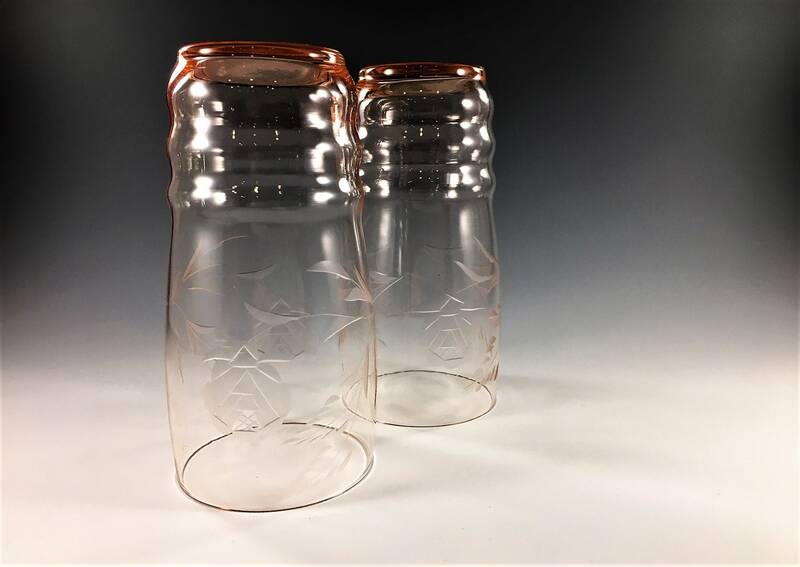 Featured here is a pair of Pink Depression Glass Tumblers likely from MacBeth-Evans Glass. 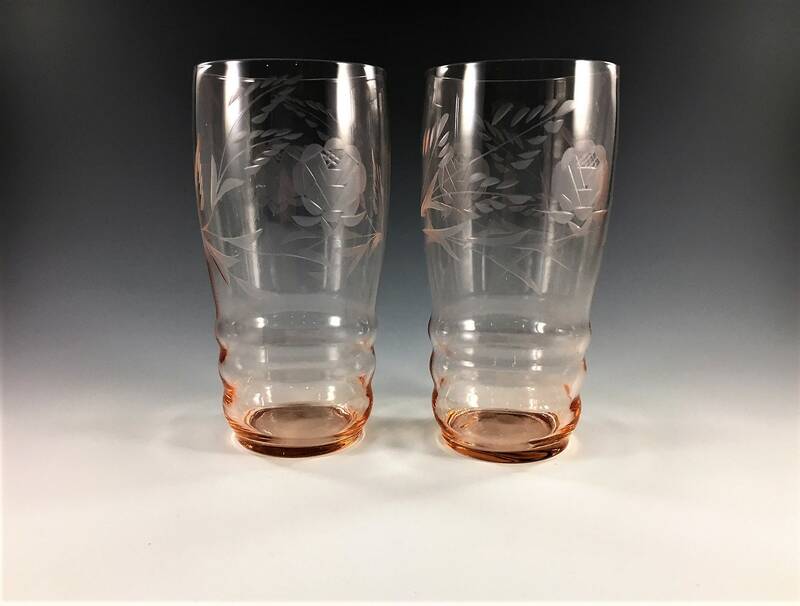 These 12 ounce tumblers have a beautiful floral cutting and were lprobably produced in the 1930's. 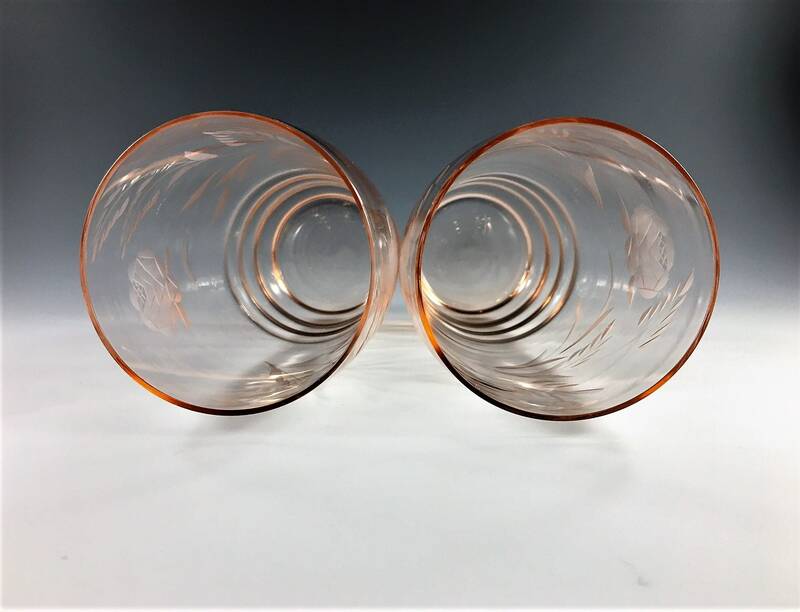 These desirable glasses measure about 5 1/2 inches tall and are about 2 3/4 inches in diameter at the rim. 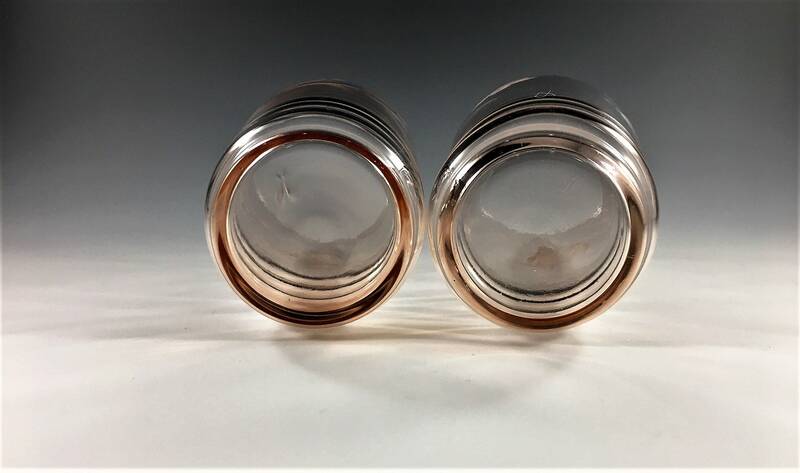 They are in excellent condition, free from any chips or cracks.